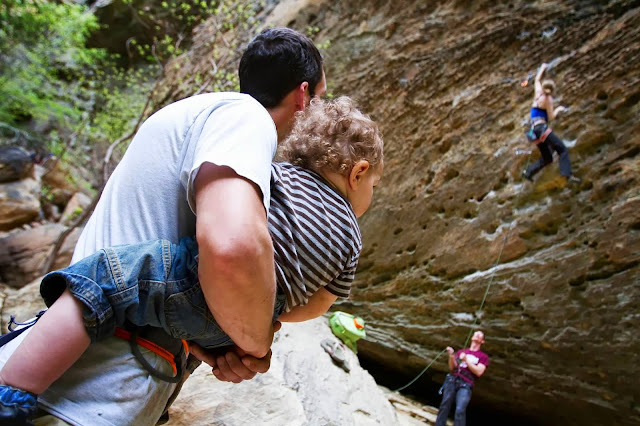 If you have a little one, under four, and you don't have friends or a third wheel to help belay, you better stick to a bouldering trip. The best place to go bouldering in Europe? Font. Hands down. 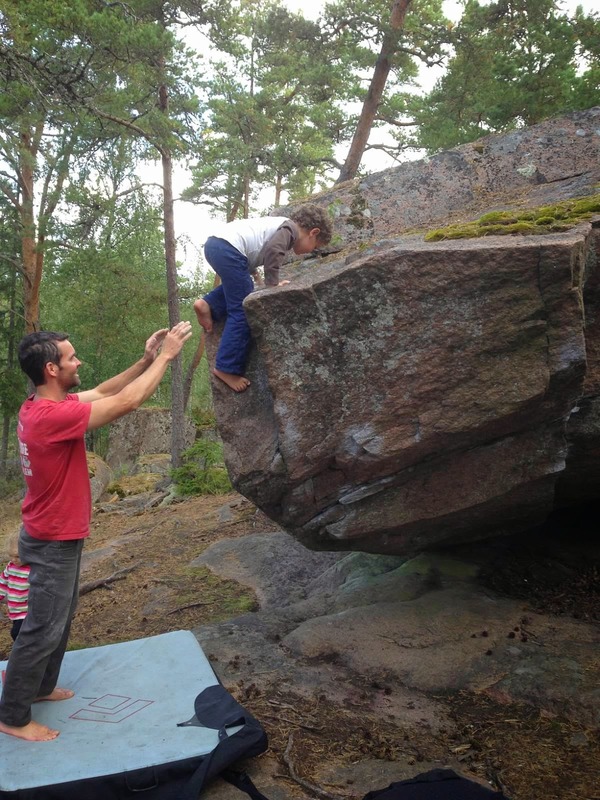 Great with kids of any age if you like bouldering. Great landing areas everywhere. If it is summer, Aland Islands (Finland) was my second favorite bouldering destination we went to in Europe with kids. Although I love bouldering in Switzerland, Italy and Austria, they were not as easy or concentrated with problems as Font or Aland. The landings were not as flat or easy to hang out with little ones. 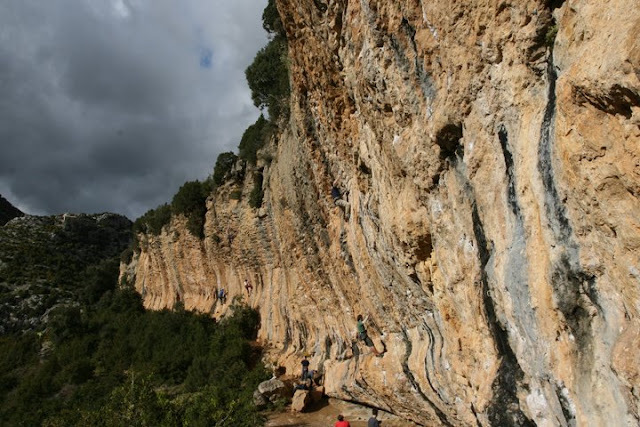 If your kids are older and enjoy sport climbing, or you have friends to go on the climbing trip with, these are my favorite places to go sport climbing with kids during the various seasons in Europe. Winter - Southern France. Seynes was sunny and warm and great for a week long Christmas trip. Arco, Italy. Finale Ligure. All three are sunny, dry, and have great limestone. Summer - The Frankenjura, Germany. 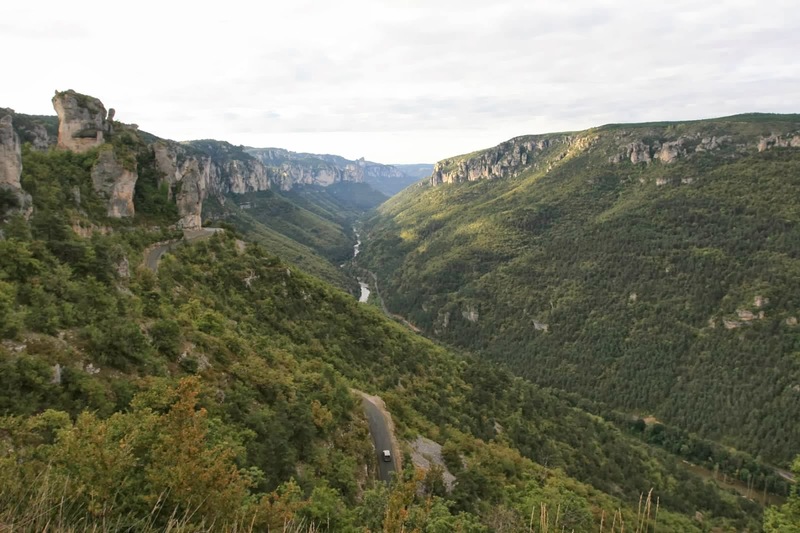 Gorge du Tarn, France. I would not recommend Ceuse with kids unless they are older than 6. The hike is epic. 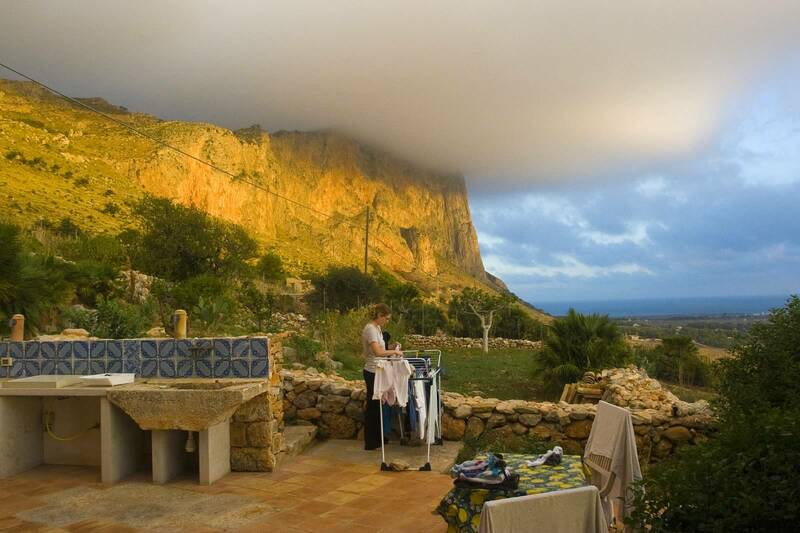 Fall/Spring - Sardinia, Siciliy, and Mallorca are all great with kids and have beaches and climbing! I'd love to hear in the comments other places you all recommend. I'll have to get my husbands opinions as well on best places to go with kids and add that in. Good luck in your planning! 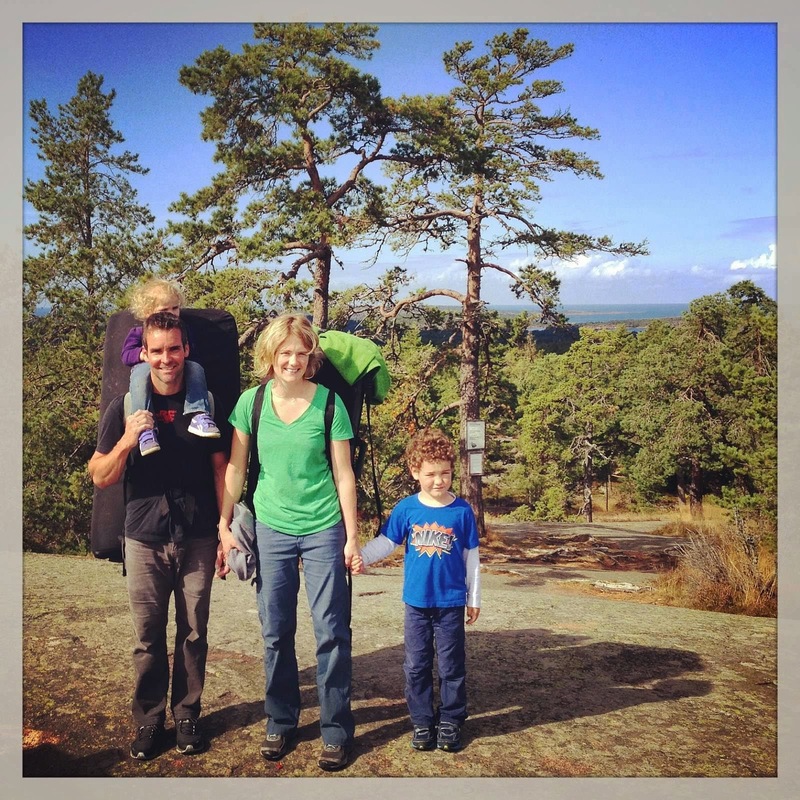 Last summer, our family took my favorite climbing trip yet. 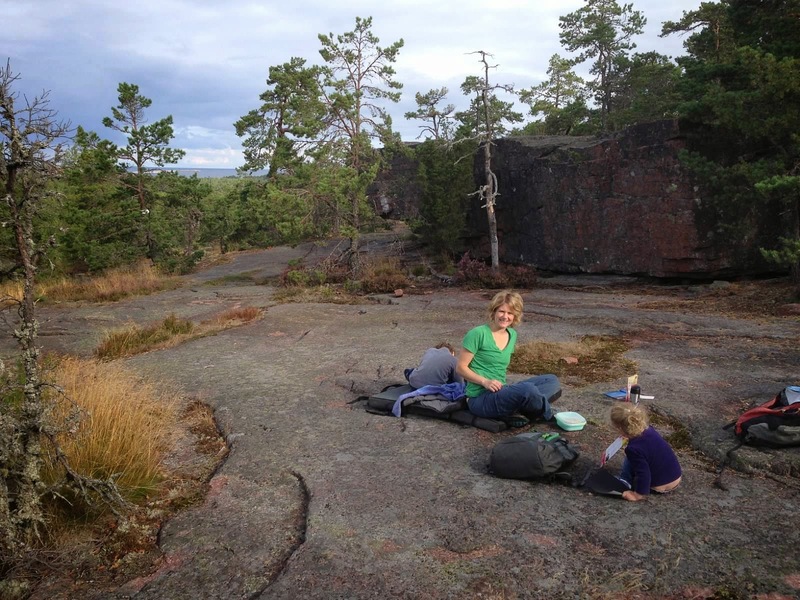 Bouldering in the Aland Islands. I posted about it here, but I'll repost here to gear it towards climbers. Coming this week! 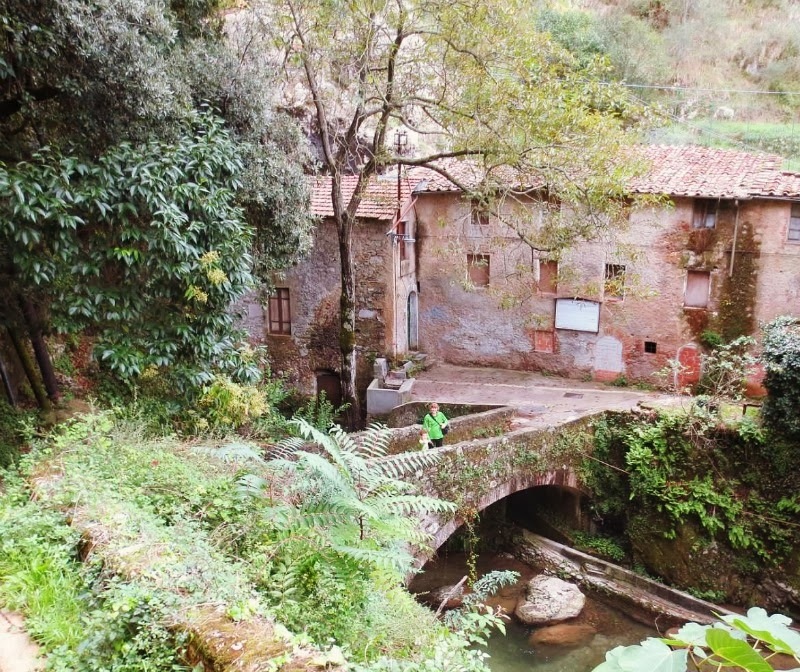 Why: Rodellar village is situated above the beautiful Muscan gorge in the Sierra de Guara National Park. 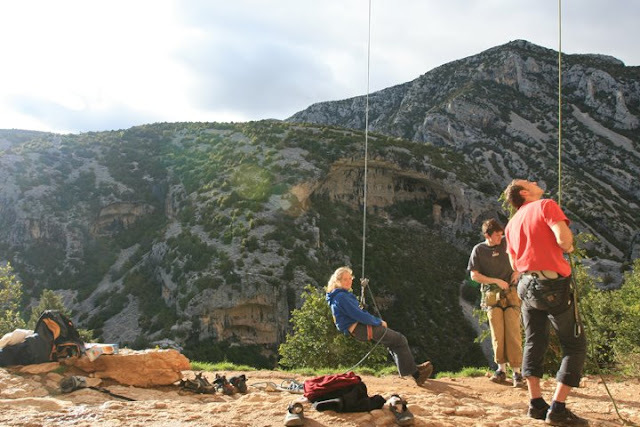 This limestone gorge is one of Europe’s famous climbing areas and provides plenty of steep hard routes. 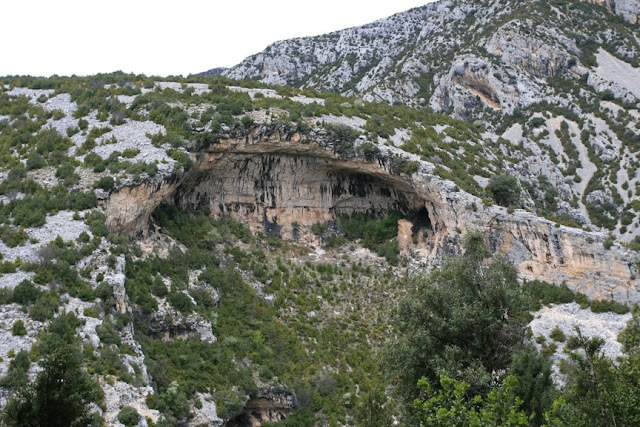 The climbing style is powerful and athletic, with plenty of overhanging caves, arches, roofs, tufas and pinnacles. 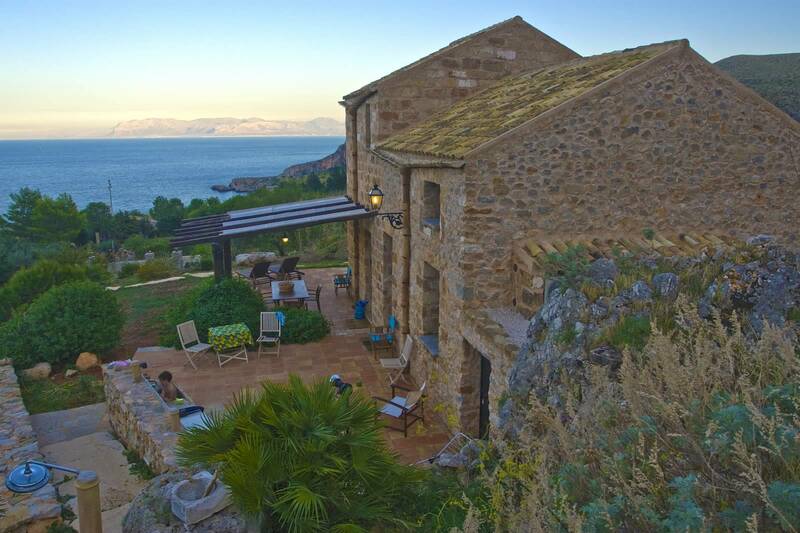 Where: Rodellar is at the end of a long, windy, rural road leading up to the Pyrenees through beautiful olive groves and wheat fields with snow capped mountains in the background. Before you reach the Pyrenees you come to the end of the road with the small village of Rodellar nestled in the foothills. Just outside of the village, a giant gorge opens up and is filled with amazing caves, arches, spires and walls with the beautiful but chilly Mascun river flowing (or rather raging during our trip) at the bottom. The area is extremely popular for canyonists and we saw many French and Spanish with their wet suits and haul bags in the parking lot. You can fly into Barcelona, rent a car, and drive a few hours (2) west pretty easily. When: Not May. Well, supposedly May can be good, but when we went in May, the rain never stopped and it was cold!Summer is too hot, so probably another good place to go from Sept - November. 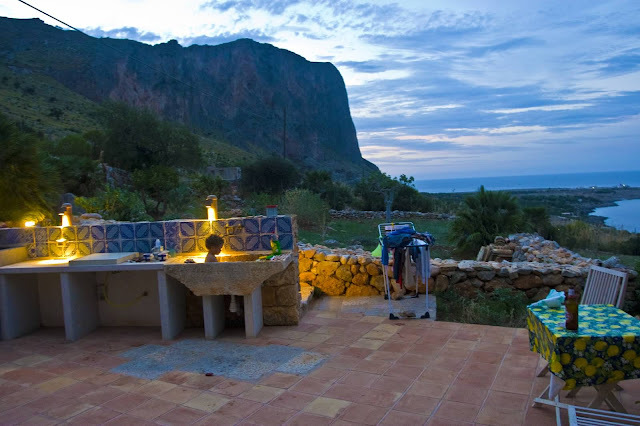 Accommodations: We stayed in a bungalow at El Puente that was cheap and decent and close to the climbing. Two bedrooms, kitchen/living room and a full bathroom with shower. Fina, the campground owner is the nicest lady ever and kept a warm fire going in the restaurant/bar/gear shop the whole time we were there. Our bungalow was a bit cold, so we lit a fire (our stove) every night to get a little warmth in the place as we huddled around in our down coats with wet socks and shoes! Where to Climb: We spent most of our time in Rodellar hiking and exploring, looking for dry climbing but in the end we did end up actually getting quite a bit of good climbing in and had some good weather, mostly at the El Camino wall. This wall is the closest approach from the trail, and is pretty decent for families with kids. Although, there is a drop off, and the hike in is not short. Other areas would be much harder for families with little ones (under the age of 5) and I'm not so sure I'd recommend it over all the other great, easier, family crags in Europe. What to see in the Area - Rodellar is pretty remote. Not too many choices on places to stay, but endless hiking. 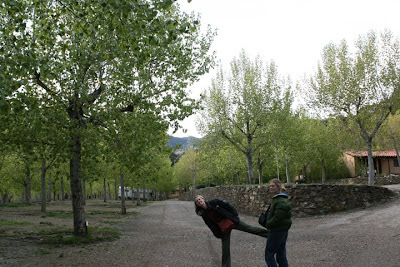 We checked out a nearby town called Aragon that was beautiful and worth checking out. Barcelona is a must see city, so if you fly in, spend a few days there for sure. Why: The best limestone you have ever climbed on period. 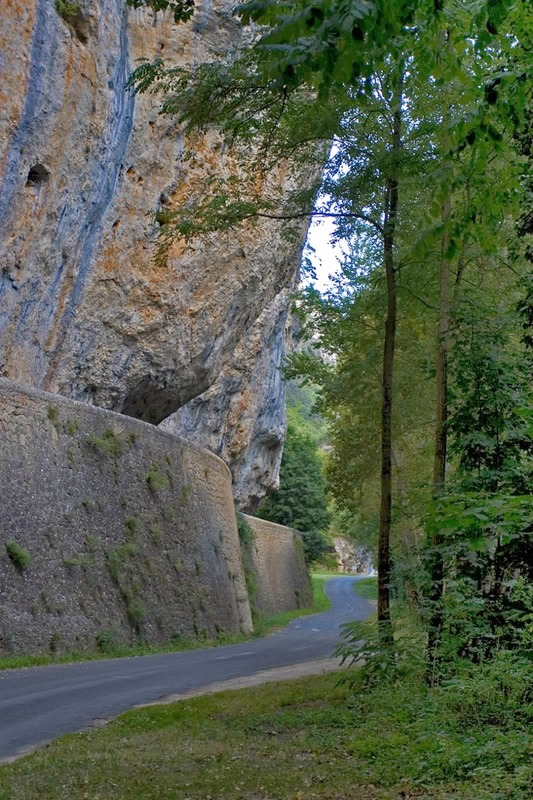 Where: Gorge Du Tarn, France is a bit remote. We drove from Germany through Switzerland and then on south through France where we rented a gite. 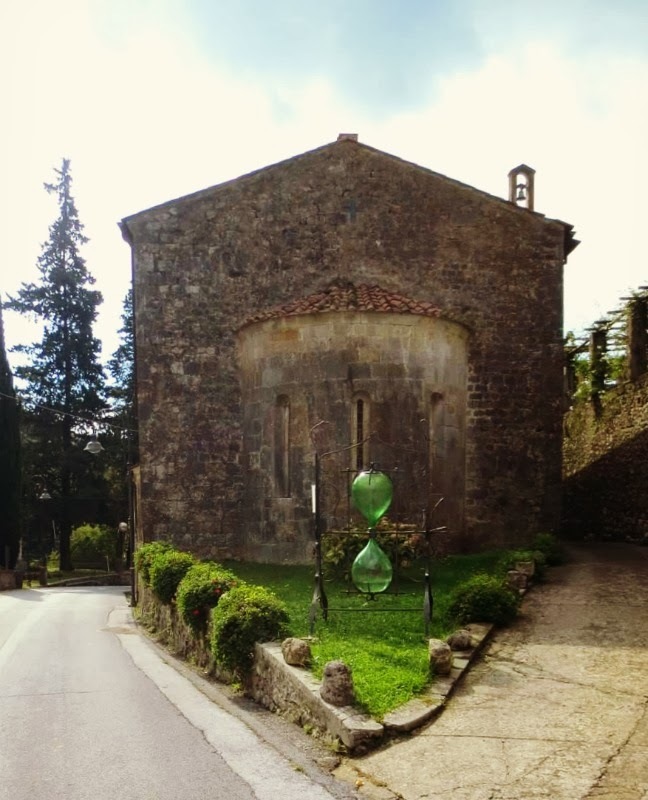 You can find more about the area and the gite in this post . When: We went in the off season, October, when it was still great for climbing, and their were no crowds at all anywhere. The downside to this was that many resturants/shops in the area were not open. I'd say spring through fall would be great here. So much shade, and you are up at a pretty high elevation for southern France, so in summer, it still isn't too hot. Accommodations: I would recommend a gite personally over camping. The gite we stayed in was so cheap and perfect for a family with kids. Separate bedrooms, kitchen, TV, etc. Food: As always, we stock up on groceries and prepare a lot of our meals on trips like these with our kids. We drove to to Millau our first day and stocked up at a HUGE grocery store on the edge of town. We also hit up the wonderful farmer's market in Millau later on in the week for fresh food, soap, and gifts to take home. Make sure you get Pain Chocolat for breakfast in France, the best pastries in the world, amazing wine, fresh bread, and try a few cheeses out as well! 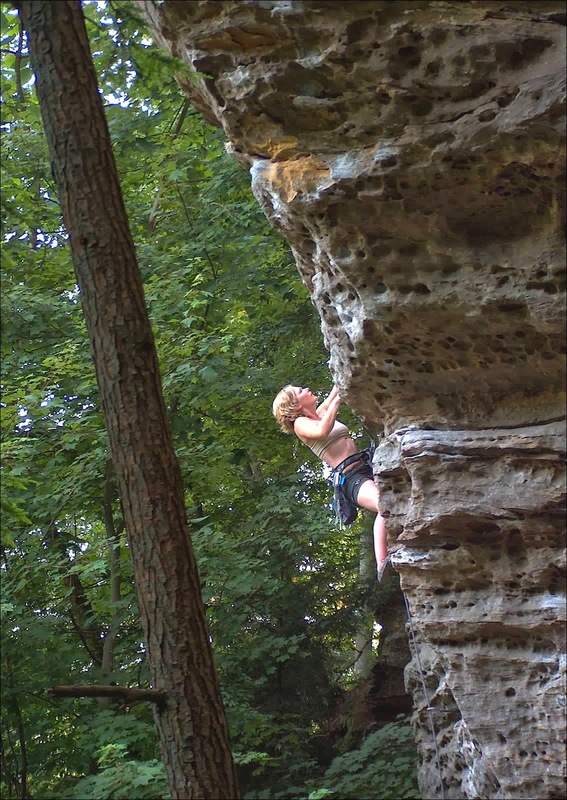 Where to Climb: Honestly, I haven't been in a few years, so I forget the names of all the crags we tried out! However, this link should help you out. I do remember there were quite a few crags you would not want to take kids, however, there were just as many that are easy/safe with kids. 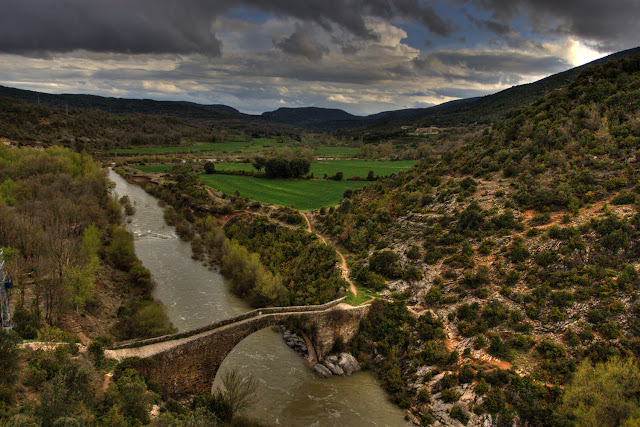 What to see in the Area: The city of Millau and the famous Millau viaduct the tallest bridge in the world. Plus, kayak on the tarn. Most of the tourists in the area are there for the kayaking, so we gave it a try and it was awesome! 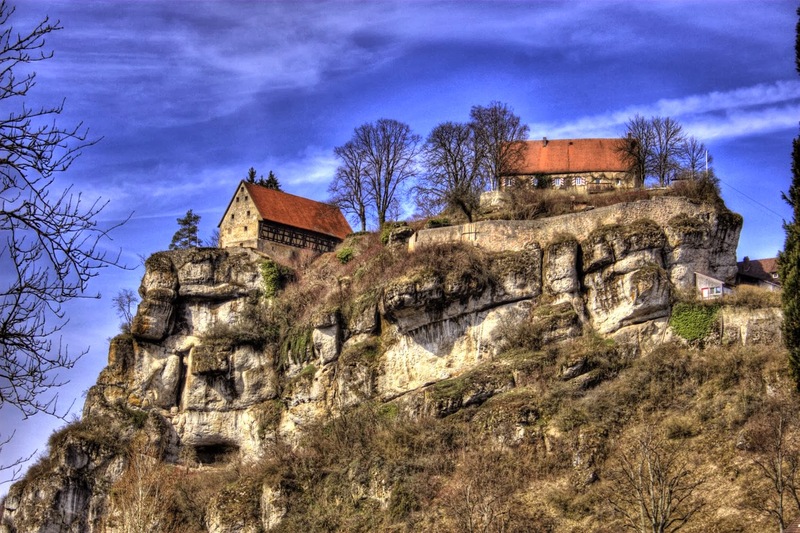 Plus, if you like Roquefort, you can visit the caves where it is made. Just hiking and driving around the area was entertainment for us. This post is was originally posted on my blog www.wethreemothers.blogspot.com. 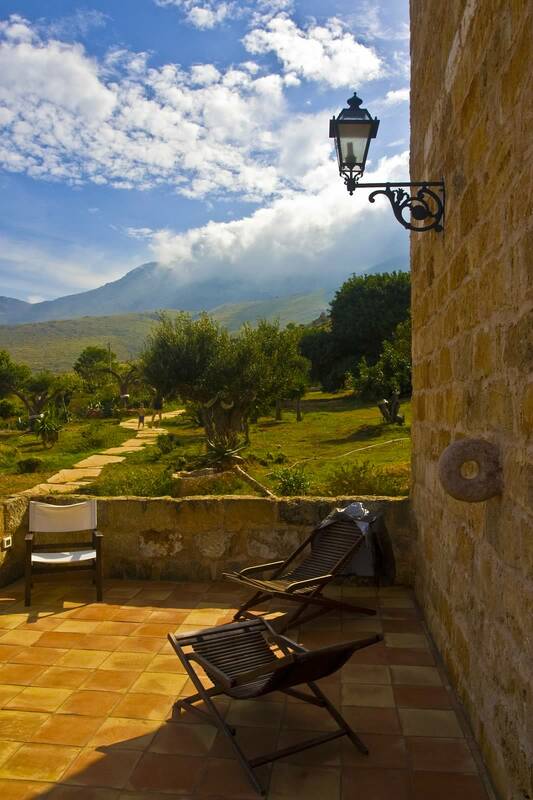 If you are looking for more information on Tuscany, visit here. One thing we really love about living in Europe, is how it can so easily satisfy so many of our interests. Apart from missing family and friends in the states, it has so much to offer in almost every other category. The amazing cultural and historical destinations: cities, castles, museums, exhibits; unbelievable landscapes: mountains, forests, rivers, lakes, oceans, as well as an endless supply of one of our biggest passions, rock climbing. 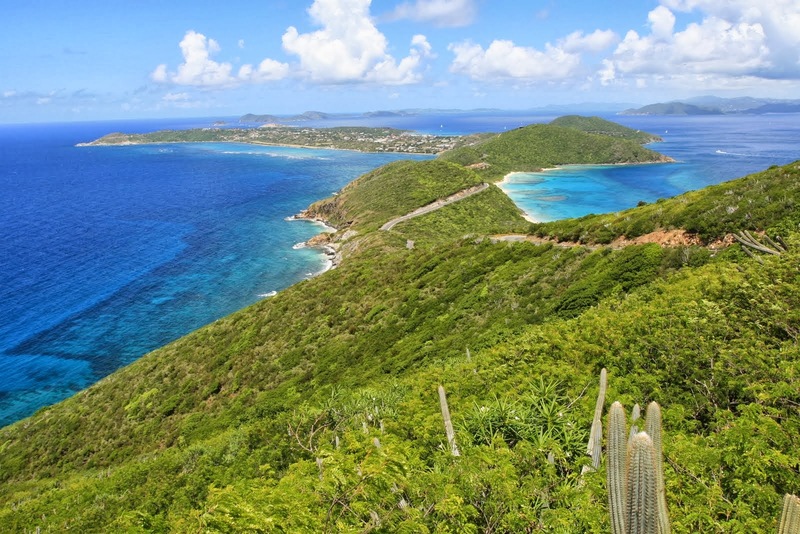 When planning our trips, we try to combine all of those aspects into our destination selection. 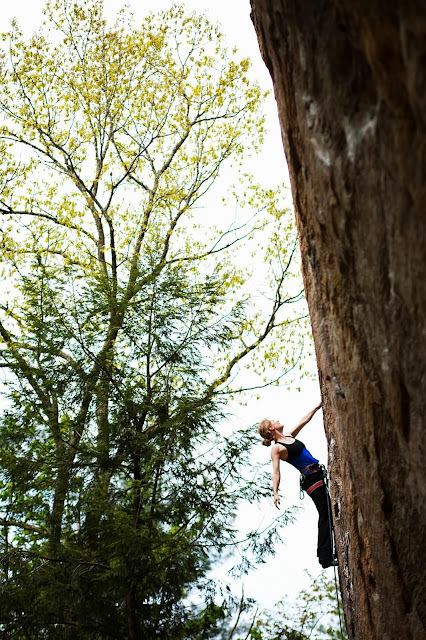 Naturally, our number one priority is ensuring good climbing is close by. What is amazing about Europe is that it is so full of good rock, no matter where you decide to travel, you can almost ALWAYS find good climbing nearby. The most difficult part is usually just finding information on the rock the area. Finding good information about climbing areas on the web for all the small, less known areas there are throughout Europe requires quite a bit of research, word of mouth, and even some good old bushwhacking and exploring on your own. Frank has developed a particular knack for this. We usually just go down our never ending list of European places we want to visit, and Frank finds the climbing nearby. This time of year, traveling with tour kids and grandparents, we needed somewhere warm. Greece was at the top of our list, but airline tickets were ridiculous, and there happened to be a huge climbing festival right during our window and we weren't particularly thrilled with the thought of the island swarming with loads of other climbers. As tempting as it was to just return to Sardinia, the amazing deals on Ryan Air from Nuremberg to Pisa (59 euros a person) are what swayed us in the end. Sure enough, Frank had just talked to some locals here in the Frankenjura about the amazing tufas and long, beautiful routes in Tuscany. We had been to Finale Ligure and climbed all over the Ligurain coastline, so it made sense that the neighboring coastline was also filled with very similar climbing. 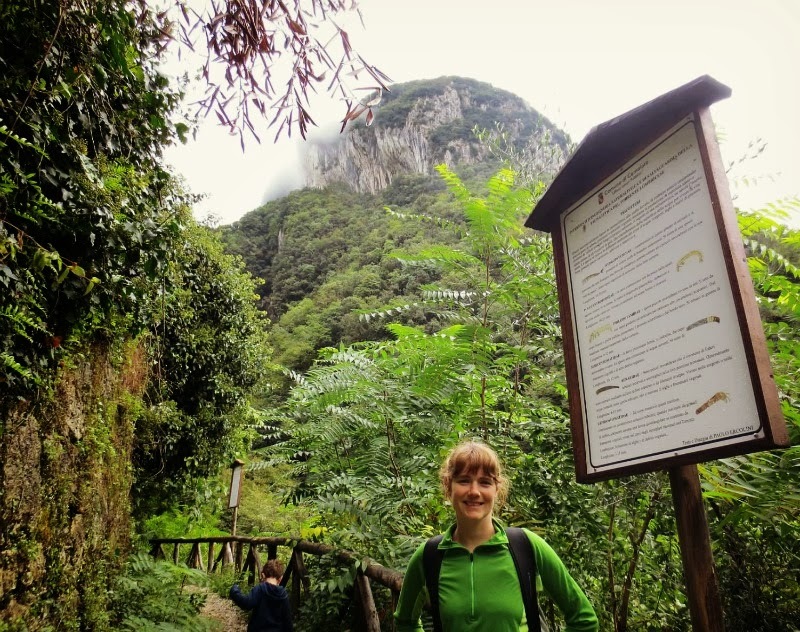 The word was that Candalla was the best in the area, so we situated ourselves in Camaiore, just below the limestone covered peaks nearby. We did have a bit of rain on this trip, which provided us with perfect rest days and days to go see the cities. 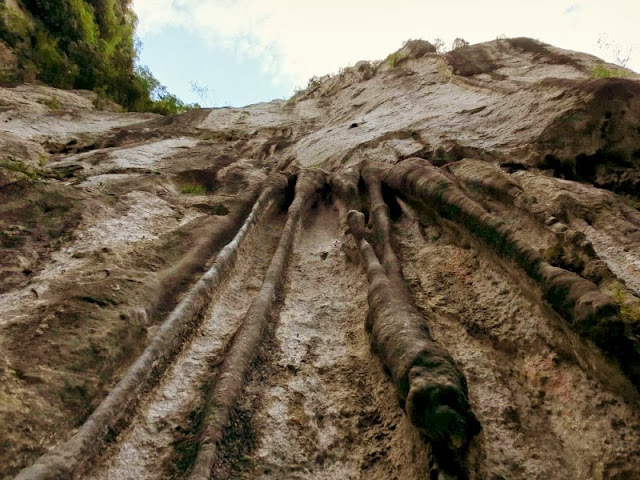 On sunny days, we hiked to Candalla, checking out the long and steep, black and white tufa infused limestone cliffs in the Versilian mountains. It was everything I hoped for and more. Hiking to Candalla is amazingly beautiful. 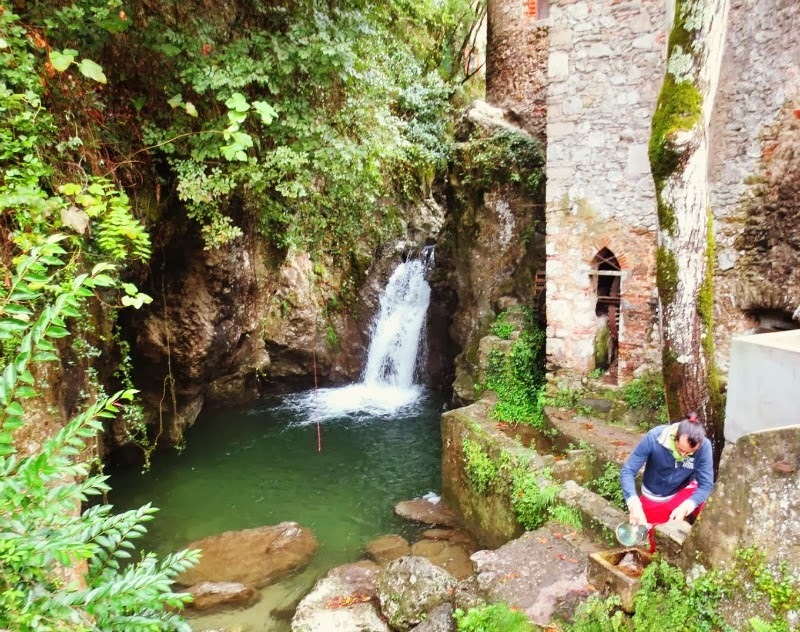 The trail begins at an ancient water mill, which is fed by a gorgeous and rugged mountain river where people fill giant water jugs for their home. 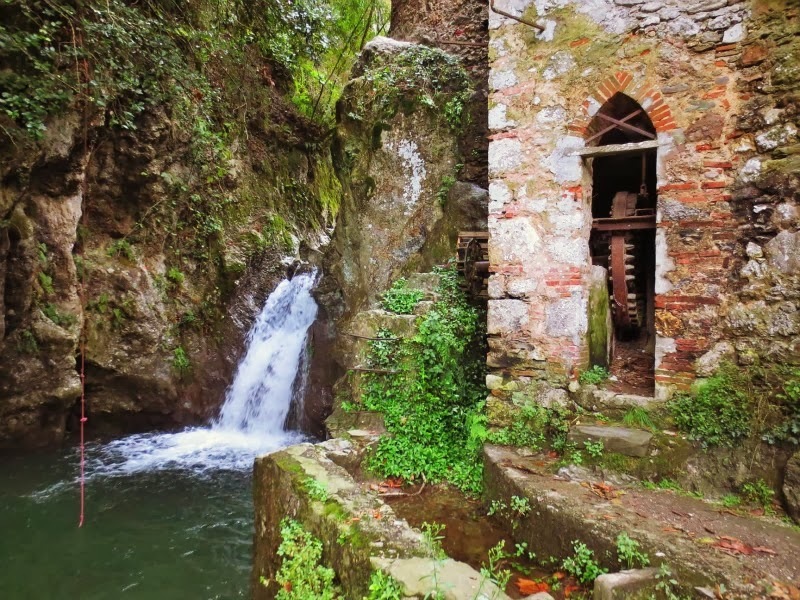 Right next to the mill is a neat little waterfall lapping into a pool which swimmers must frequent on hot summer days as evidence from a rope swing. There are different signs all along the path displaying the areas diverse macroinvertabrates, fish, birds and other flora and fauna. 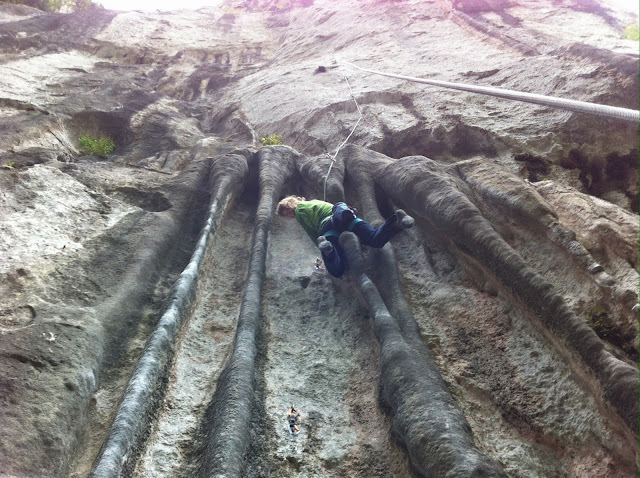 It was a reasonable approach to do with the kids, beautiful setting, and has awesome climbing. Even with the few rainy days we had, the routes managed to dry up by the time we would leisurely arrive on the sunny days. Just after crossing the rugged river lies the base of the cliff. 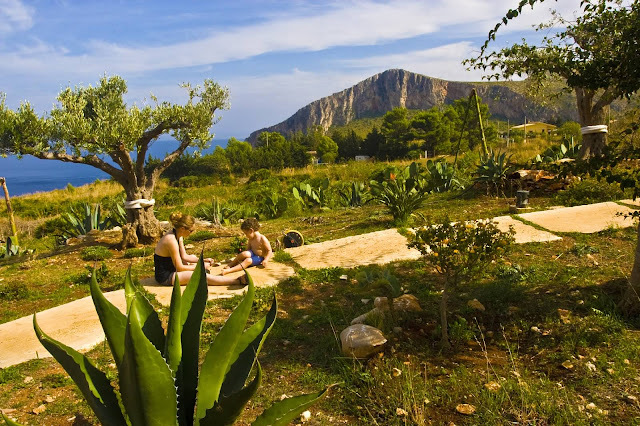 It has a super serene setting with a nice flat base for the kids, pools of water to refresh in, and at the top of climbs, you can see the Liguarian sea in the distance. The entire time we climbed at the area, we only saw one other couple. Pretty unbelievable considering the hundreds of perfect limestone routes there. Only in Europe can such a good crag be empty during the fall with perfect conditions. The only thing we could assume was that there were newer crags than what was listed in our guidebook, and by the look of all the rock in the area I'm sure it was the case. But we were perfectly satisfied with our passe crag. 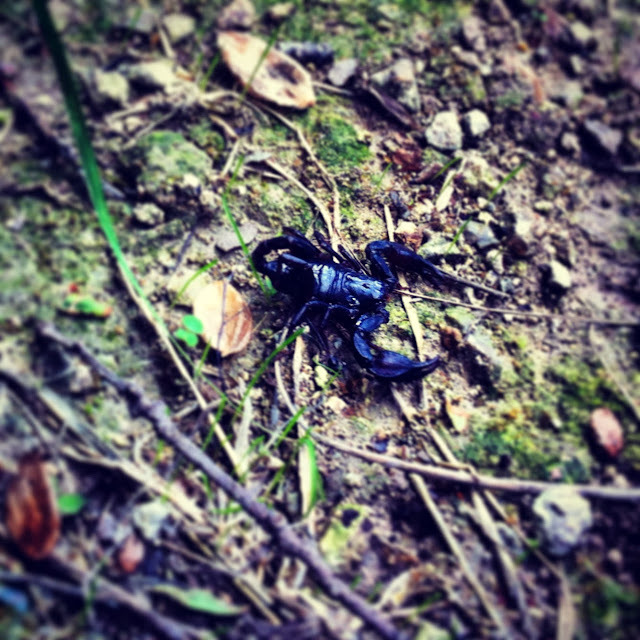 One interesting feature of this area that we were not expecting was...SCORPIONS! We were hiking around with Cooper one day when he pointed to something on the wall and asked "whats that Mom?" as he gently touched it and it fell to the ground. When I looked down I could not believe it was a scorpion. A little unnerving especially after we started looking around and finding more and more. I mean, the place wasn't "crawling" with them but I did feel the need to look before I sat down on a rock or a log. After a little research we found they are only slightly venomous with a sting much like a bee or wasp. Still, freaked me out enough to hesitate grabbing into deep holds. I fell in crossing on the slippery rocks, so Cooper decided to join me and test the frigid water. So that's our wrap up of our trip to Tuscany. If you're ever wanting to go but not sure because of the lack of climbing, fear not! We're already missing the long, steep technical routes, and the peaceful quiet setting. Although the climbing of Candalla will never be listed in the top of Europe's long list of famous sport climbing areas, and you probably won't see Chris Sharma or any climbing superstars hanging out there any time soon, it's just perfect for a family wanting to see the nearby historical sights and get in plenty amazing sport climbing. Have fun! 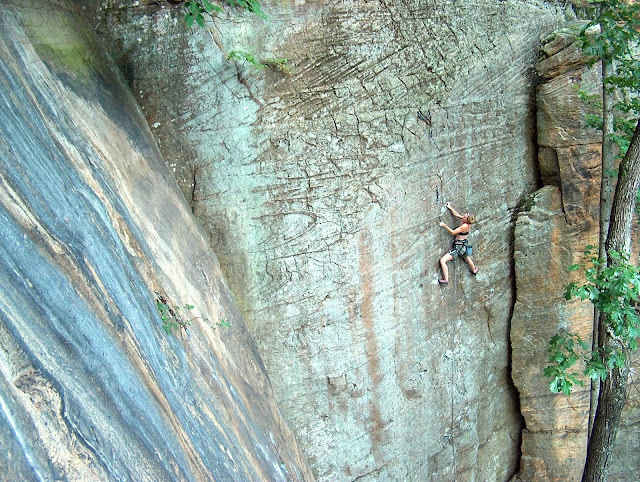 My favorite place in the whole world to climb is definitely the Red River gorge. If you are trying to pick a place to go and enjoy steep, long, gorgeous routes, you can stop now. This is it. 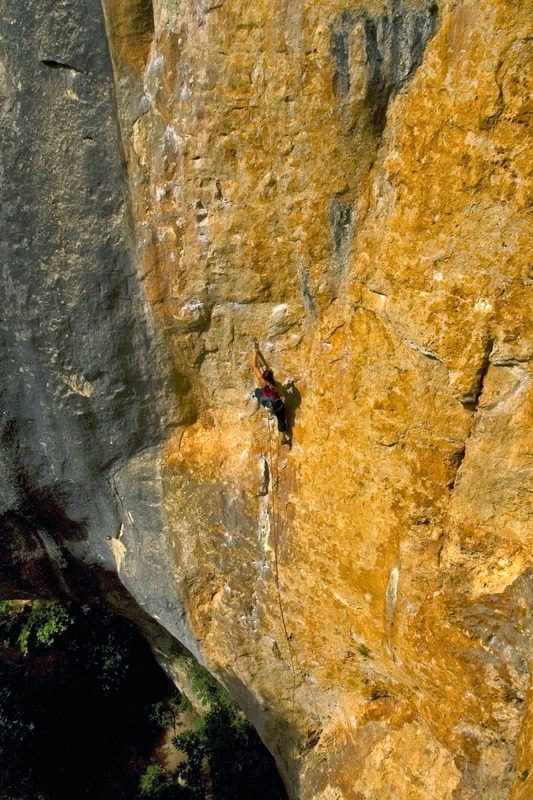 The most beautiful climbs in the world, seriously! Photo taken by Vrai Photography. Mandy Byron (me) climbing on Wild Gift, 5.12C at Roadside. Why: The Red River Gorge has thousands and thousands of perfect, beautiful, long, well bolted sandstone routes. Many are steep and pocketed and require tons of endurance, but just as many are technical, vertical/slabby, and crimpy. The Red seriously has it all. Where: The Red is located in eastern Kentucky, near the Daniel Boone National Forest. The largest city nearby is Lexington (1hour) for flying into. There are a few small towns in the area like Stanton and Beattyville, but they are nothing to write home about and not worth visiting other than to get your groceries. The climbing crags cover a large area, but all are located in gorgeous deciduous forests. When: The best time for climbing is usually the fall. Summer gets too hot quite often (think 90 degrees with 100% humidity). Winter and spring can be great as well. Just depends. Best time would be October for getting sun and the right temps. 1) Torrent Falls - Access is private so stay at the cabins if you can. Easy access, flat landing area, easy climbs for kids. 2) Drive By - large flat area for kids to play. You can push a stroller up if you have to. Accommodations: There are plenty of cabins you can rent if you do a quick search. For climbers, I recommend staying at the Climber's Cabin right at Torrent Falls. 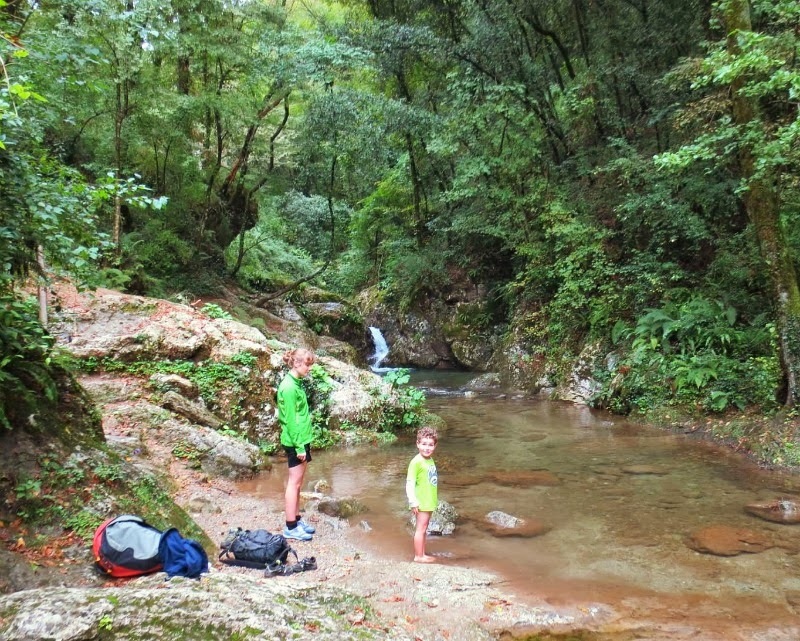 This place is right at Torrent Falls, one of the best places to climb in the red with kids for sure. You have basically no hike (just some stairs to climb up), no crowds (only for people who stay at the cabin or are friends with the owner), and my favorite 11s and 12s for running laps on to get endurance. Torrent Falls also has a ton of easy climbs for beginners and kids that are great right by the 11s. The cabin is perfect for a family with kids. What to see in the Area: Lexington is a nice city with plenty to do on a rest day with the kids (see this post here). In the gorge, Natural Bridge is definitely worth checking out. Where to eat: By far, the best two places to go are the Red River Rockhouse and the infamous Miguels. Drink Ale 8 One (a local ginger Ale) and eat Mingua Brothers Beef Jerky. Yum! As always, if you have questions, feel free to shoot me a comment. Have fun! 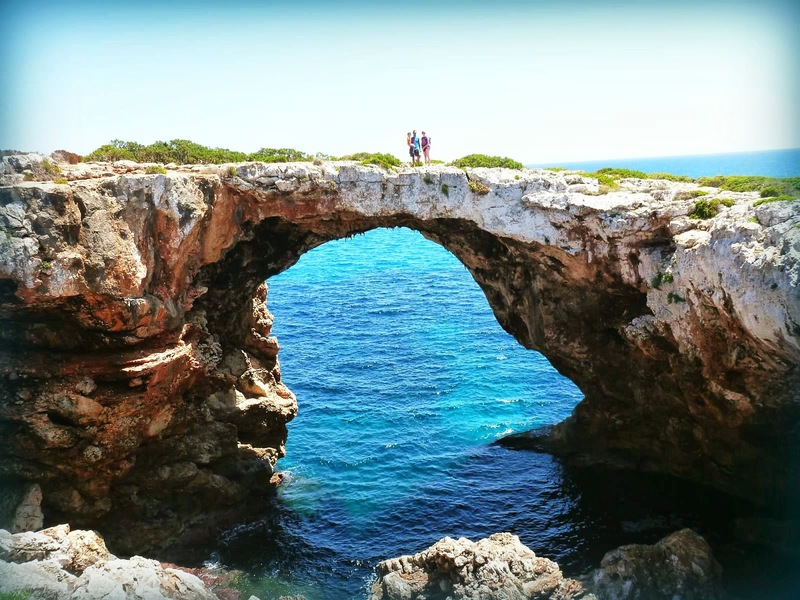 Why: Beautiful beaches, limestone climbing right by the beach, little to no crowds, perfect weather, cheap accommodations, and great food. This place was awesome! I so want to return. The beaches were pretty much as nice as any beach in Florida, with soft white sand and shallow water, perfect for kids. We found hermit crabs, regular crabs, a jelly fish, tuna, and all kinds of other fish while snorkeling/hunting the beach. Where: San Vito Lo Capo, Sicily is a short and very cheap ride away only on Ryan Air. 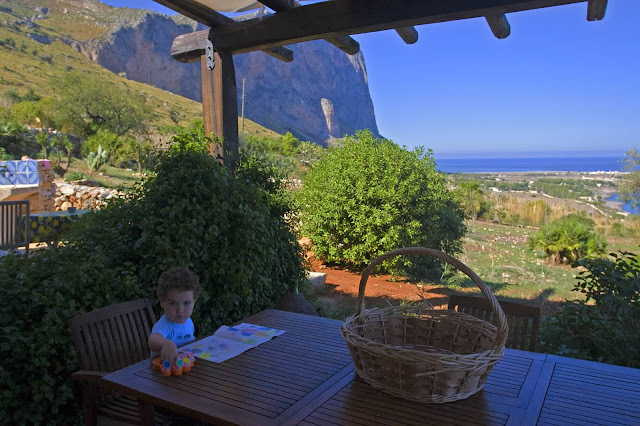 We flew into Trapani airport and rented a large van for a week's stay in a glorious villa overlooking the sea. We were within a 10 minute walk to a beautiful cliff and within 20 minutes drive from at least 4 other crags, all pretty kid friendly. When: Well, it depends. If you want to be able to swim, September or early October. We went in early October and really lucked out. 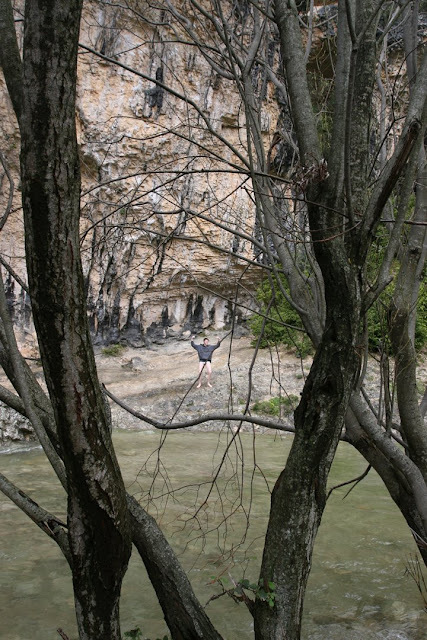 Still warm enough to swim, but cool enough to climb in afternoon in the shade. If you don't care about swimming, I'd say November could be your best bet for cooler temps. July and August is tourist season, so the rentals will be pricier and the beaches crowded, and I would say it would just be too plain hot. Accommodations: I would recommend the villa we rented, but the link is gone! However, I would have loved to stay at any of these places. There are plenty in the area and most are pretty well priced. There is also a campground our friends stayed at called Camping La Pineta that has rooms available that looks pretty nice. Food: As always, we stock up on groceries and prepare a lot of our meals on trips like these with our kids. 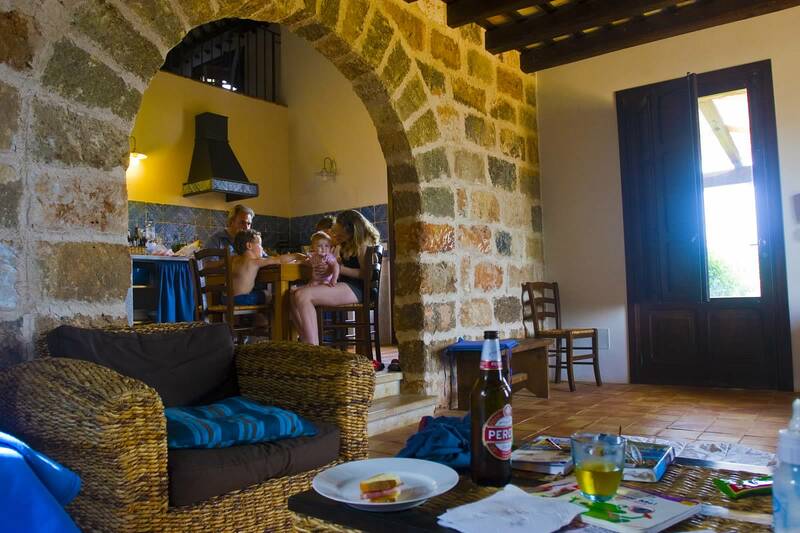 However, there are a lot of restaurants right on the beach in San Vito that made it easy to go out with the kids. Restaurants don't open though until 7:00, so that just didn't work for us. We'd do lunch out, but dinner in. The bakeries had really good patisseries for breakfast, and the wine/olives/pesto were wonderful. 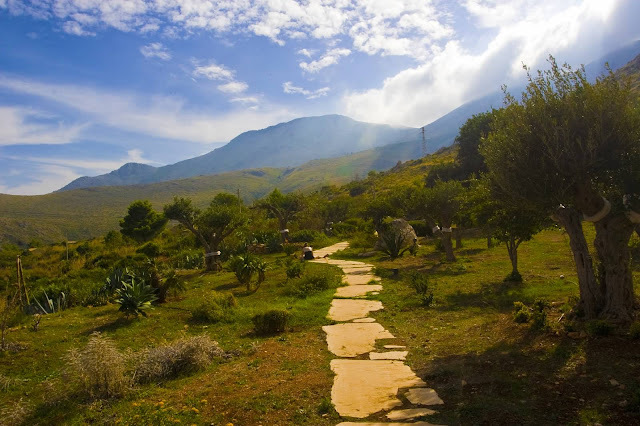 I believe I read that that most of the olive oil sold from Italy is from this region of Sicily. 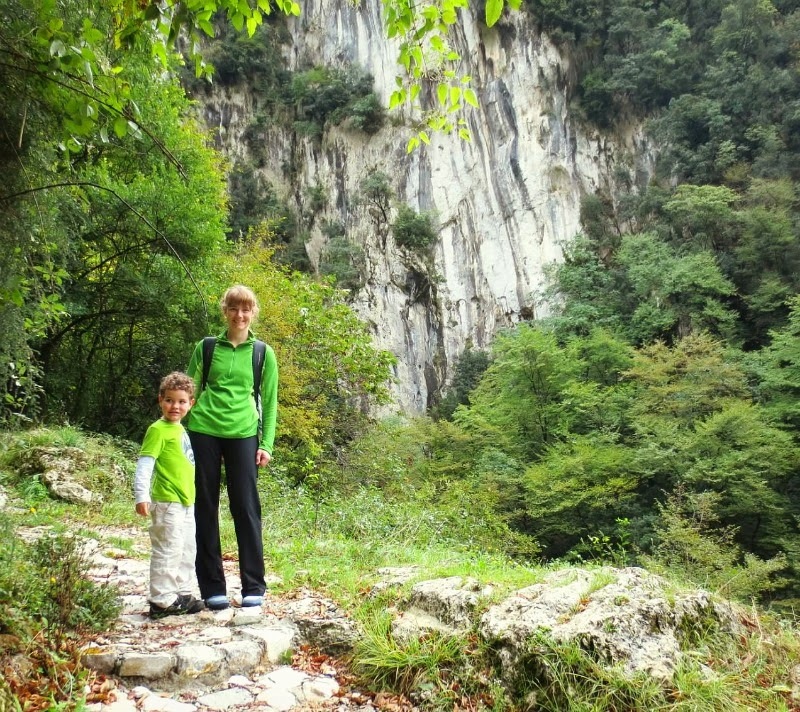 Where to Climb: The easiest cliff with the kids was Sector Campeggio. It is located right near the town, next to the sea with little to no hike involved. The climbs range from 5.6 to 5.13 and most were pretty fun, steep routes. We spent two or three days in this area. Only thing is, this crag gets full sun almost the whole day. 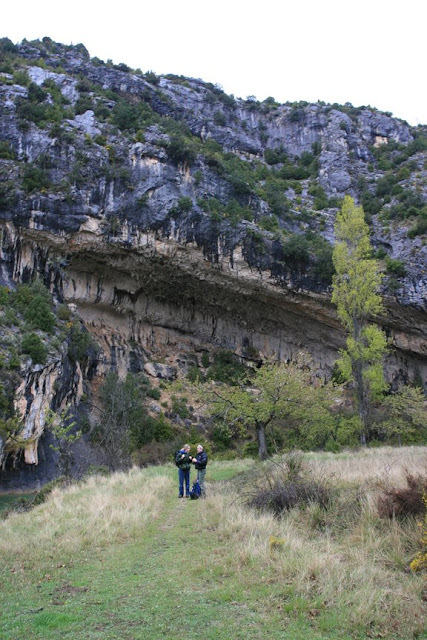 We visited another 2 crags that were great as well using a map we purchased in town that shows the climbing areas. What to see in the Area: The City of Erice and other Sights. We visited this beautiful Greek city located at the top of a small mountain 750 meters up. Really awesome. Spectacular views, winding medieval roads, castles, churches, and lots of great shops/ceramic stores. One crazy story I have to share is the Temple of Erice. They turned it into a castle later, but this Temple was well known throughout the Mediterranean area in the ancient times (I think it said 5BC but I can't remember now). People would travel there from Africa even to worship the Goddess Venice. Now the crazy part. Families would drop off their unwanted daughters at the temple who would then be raised in the ancient art of love making. They would be fed well, on milk and honey, and at age 12, men would come from all over to worship/be with the women. They would bring them really fancy gifts as payment, and then the women would retire at age 20, very rich, and very sought after by men. Nutso. 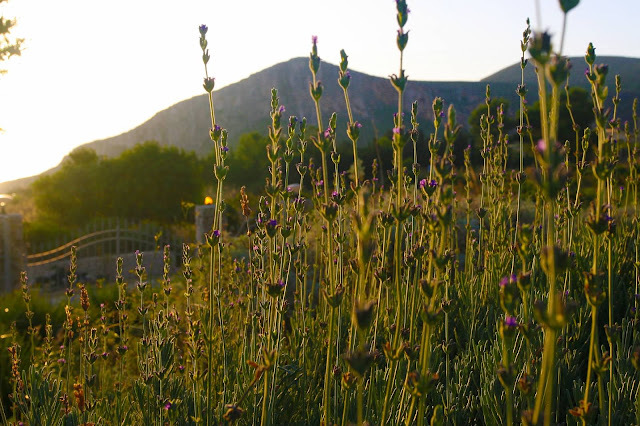 Segesta was one of the most important Siceliot (Sicilian-Greek) cities of antiquity. We visited a site at the top of a hill that was inhabited into the Middle Ages, and boasts the crumbling ruins of a Norman castle, a small church and a mosque, along with a classical amphitheatre. Built before 430 BC, the Doric temple is the focal point of Segesta. We walked around it for a little bit, and then took a bus ride up the hill to the amphitheatre where you could see views for miles around. Gorgeous Yard. Making a Collection of bugs, shells, and nuts/berries with Cooper.